Friday, December 28, 2018- You may have seen people do crazy stuff just to seek attention or prove a point but what this crazy lady did is akin to flirting with death. 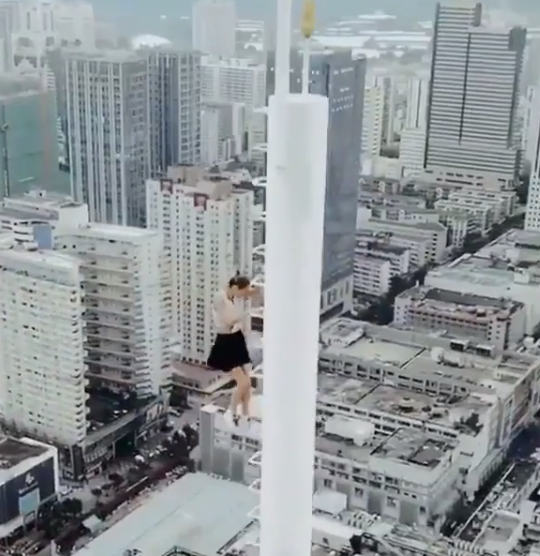 From the hair-rising video going viral on social media, the lady is seen climbing the world’s tallest tower without a harness. The daredevil battled strong winds to make it to the top of the structure which stands 1550ft above ground. Watching this, your palms will get sweaty knees weak and arms heavy. This is not for the faint hearted and more so those with phobia of heights.